Lviv Polytechnic National University is the oldest technological university in Eastern Europe and one of the largest in Ukraine. Since its founding in 1844, it was one of the most important centers of science and technological development in Central Europe. 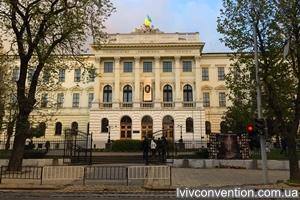 Since 1992, after the proclamation of Independence in Ukraine, Lviv Polytechnic has been developing international connections with foreign universities, scientific institutions, firms and associations. 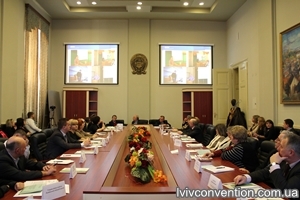 Large international associations and foundations regularly deliver their regional workshops and presentations on the premises of the University. 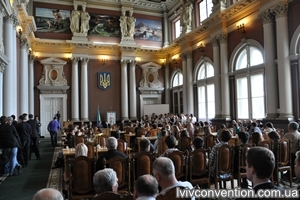 Every year about 700 representatives from foreign universities visit Lviv Polytechnic for advanced training purposes. The Assembly Hall of the main building is quite stunning with its double Corinthian columns, original ceiling and luxurious chairs. It is decorated with oil paintings created by Jan Mateyko in the 1880’s. Official meeting and ceremonies frequently take place here. The Assembly Hall of Building No. 1 is a casual hall with a large capacity. It is often used for student meetings, as well as presentations, and gatherings. Room No. 204 offers modern equipment and provides the best facilities for presentations, international programs, round table discussions, and University Administration meetings.